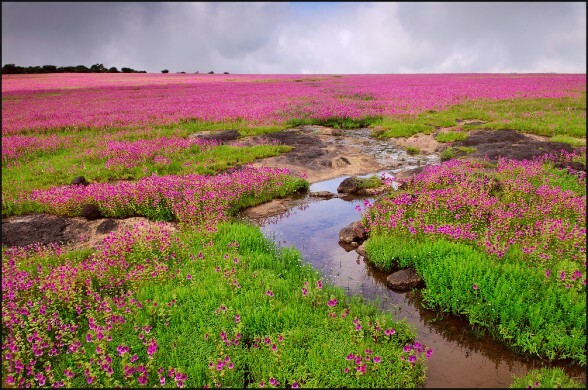 Kaas Plateau, also known as Kaas Pathar is a volcanic plateau located near Satara. This 1000 hectare plateau has only recently gained popularity, since it was declared a bio-diversity site by UNESCO in June 2012. 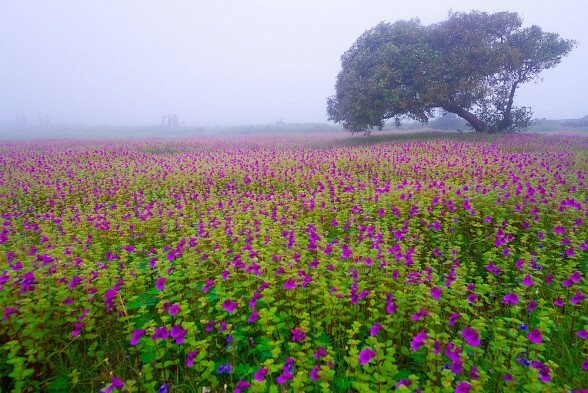 Kaas Plateau is Maharashtra’s answer to the Valley of Flowers in Uttarakhand and it comes alive after the rains when the entire region is carpeted with flowers. The plateau is full of wild flowers during the months of August and September and the blooms last for about two to three weeks. During this time the whole plateau resembles a carpet with flowers of every hue from the color spectrum. 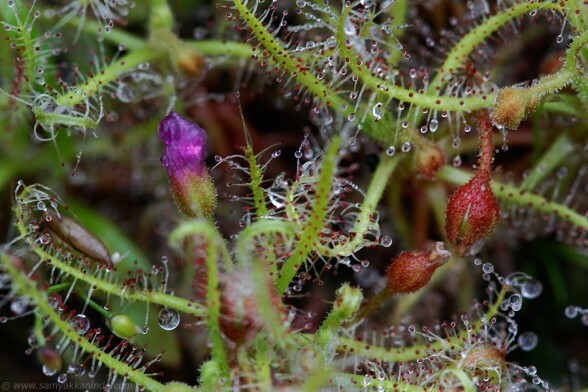 There are more than 450 different species of flowers, orchids and carnivorous plants found in Kaas. 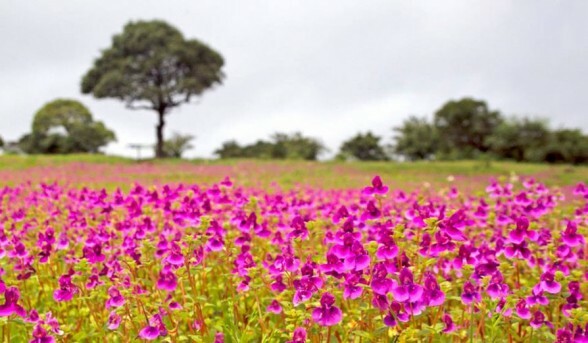 Due to its beauty, every year the Kaas plateau attracts many tourists, scientists and nature lovers from all over India. 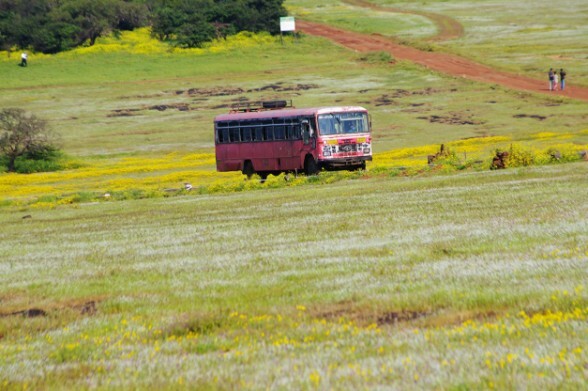 The major portion of the Kaas Plateau is a reserve forest and it has received a World Natural Heritage Site too. The Kaas Plateau was formed by volcanic activities, and is covered by a thin layer of soil; as a result there is no vegetation in this region. Every year during the monsoon season, the Kaas Plateau receives very heavy rainfall as a result, the flora and fauna of the region is unique and endemic. 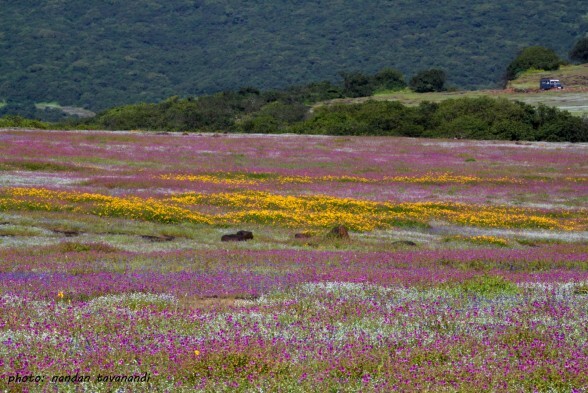 These unique ecological features make Kaas plateau one of the hotspots of biodiversity in Maharashtra. Kaas Plateau is rich in its Bio-diversity and there are more than 850 species of flowering plants that can be found on the plateau. It is believed that 624 species of plants have entered in the Red Data Book. 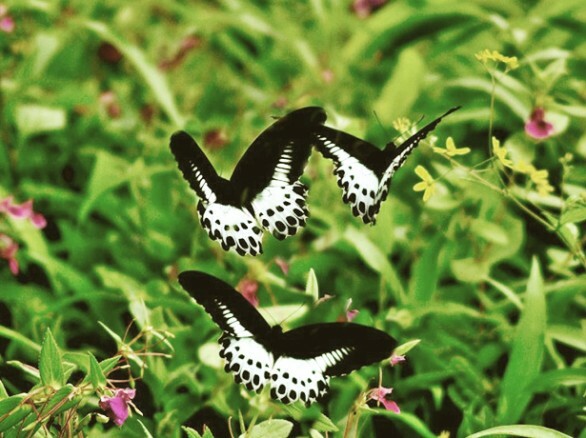 Out of these 624 species, 39 are found only in Kaas Region. 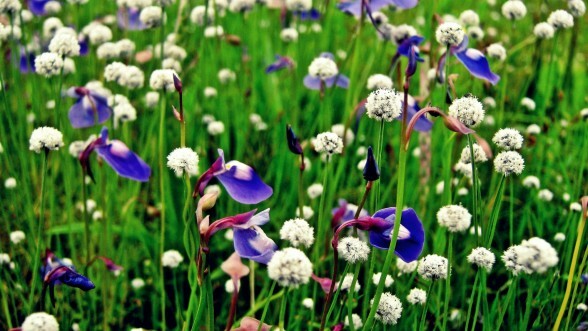 Since the plants here approximate 6% of the Red data species, it has become very important to take effective measures to protect this whole area in order to conserve the diverse, rare and endangered flora of Kaas plateau. The plateau changes its colors after every 15 - 20 days, with the monsoon starting from June till October the cycle of flowering plants progresses and changes during these months. Starting from the end of August to October, this entire plateau seems like a lush green carpet on which beautiful flowers in all colors blossom. This is a magical time and is ideal to spend a few hours unwinding from the hectic city life and taking walks around the plateau and exploring its delights. 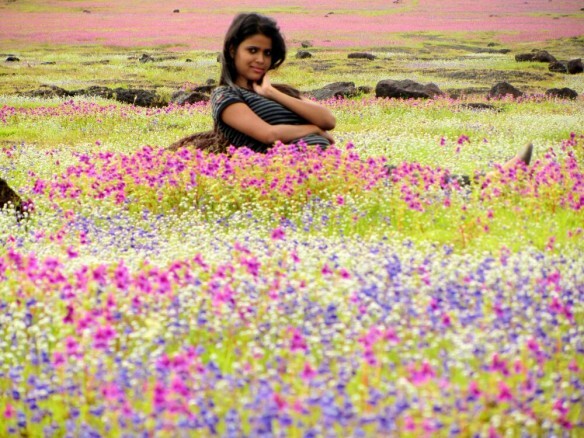 The Kaas plateau is home to around 850 known species of plants, of which about 600 are of the flowering variety. In addition, many endemic species of plants have also flourished here. They can only survive in this region, owing to the volcanic rock soil of the plateau. 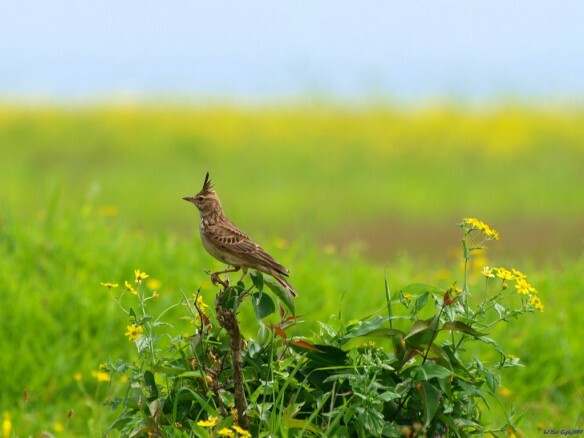 Kaas Plateau’s unique ecosystem also allows around 33 endangered species of plants to thrive here. These species are only found in rocky lands, and are on the brink of extinction due to the changes in climatic and geological conditions. 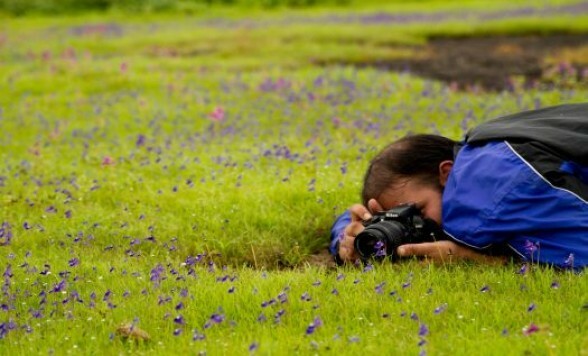 Amateur biologists and plant lovers can often be seen spending hours, hunched over observing rare plants. Close to the plateau is a moss green Lake called the 'Kaas Talav', which usually has a lovely waterfall flowing into it during the peak of monsoon. The shore of the lake is flat and sandy and is an ideal place to spend time with friends and family or even pitch a tent for the evening. Entry Fee: There is a nominal entry fee plus extra charges for parking and camera. Best time to visit: August and September. Weekends are generally crowded hence only a limited number of people are allowed entry into the Kass plateau and is mostly on first come first served basis. 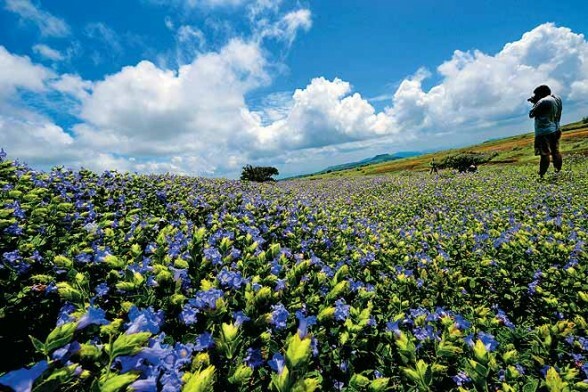 Tip : Search for hashtag Kaas Plateau on Facebook you will see photos posted by tourist who recently visited Kaas Plateau , this is just to make sure that the flowers are blooming on plateau when you visit. Travelers can drive down the Mumbai - Pune Expressway and NH4 upto Satara. 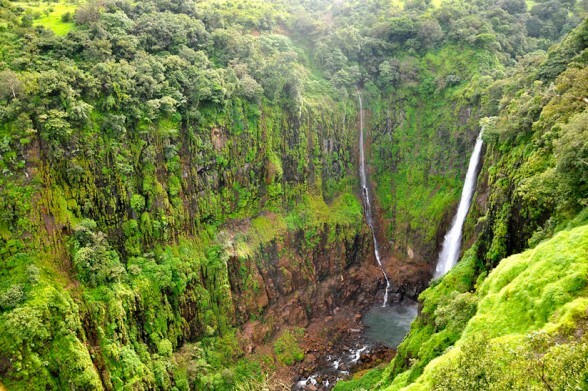 From Satara, Kass plateau is about 22 km and the drive up to the valley is quite picturesque. The total distance from Mumbai to Kass plateau is 280 and takes about 5 hours and 30 minutes. A four- lane highway connects Pune and Satara. 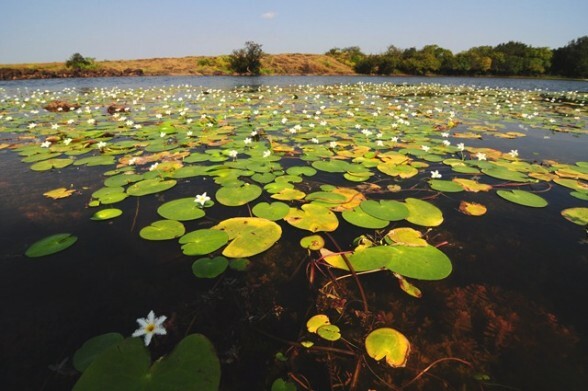 The 3 hour drive to Satara from Pune can be made easily in one's own car or in a rented car. 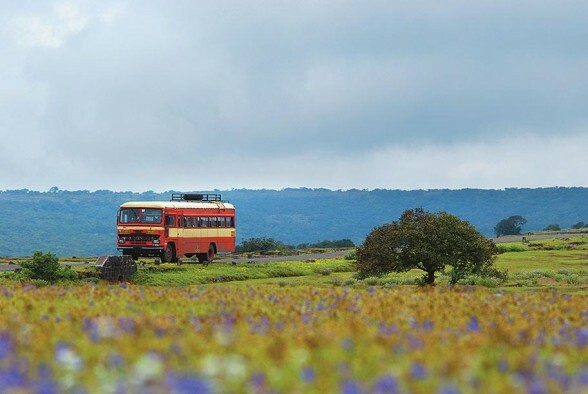 There are also buses that ply between Pune and Satara. From Satara, Kass plateau is about 22 km and drive is pleasant most of the way with the views getting remarkably spectacular near the Kass plateau. 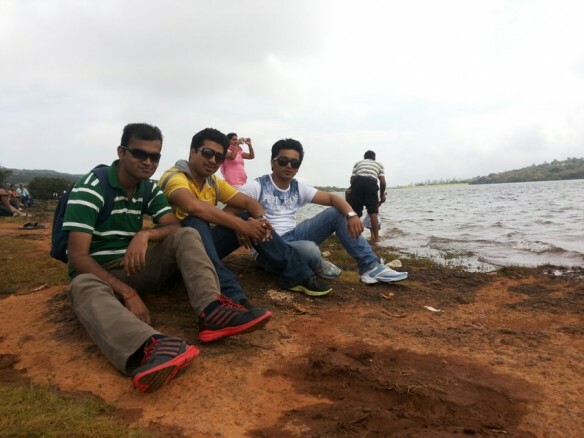 The total distance from Pune to Kass plateau is 150 km and takes about 3 hours. 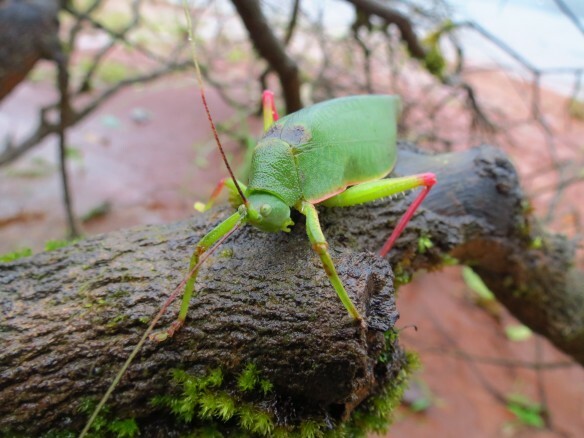 There are no hotel facilities at Kaas Plateau. Some locals do provide home stay facilities in the nearby villages. For proper accommodation can be found in Satara or Mahabaleshwar. On the Kass plateau, you're not allowed to carry any food, but before you reach the top, there are a few small food and beverage stalls on the roadsides. These small eateries offer Maharashtrian fares like Misal Pav and Wada pav etc. Travelers coming from Mumbai and Pune can halt at Satara for a break where they will find restaurants serving all kinds of cuisines. Ideally tourist must carry their own snacks.